For over 15 years, Timberland Wood Products has been providing the United States and Canada with high quality building materials. 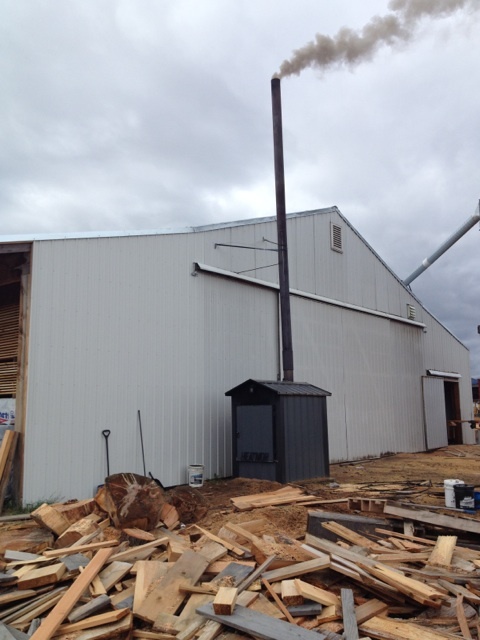 We started with a small, backyard sawmill on a piece of our own timberland, and grew from there to a specialty mill that can find or make almost any type of sawn lumber required. From large timbers to custom hardwood interior trim, we can provide you with the wood products you need to complete your project on time and within budget. Our commitment to quality means that you will be able to complete your project with minimal waste and as efficiently as possible. 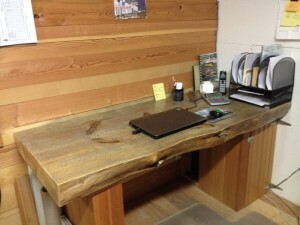 As a family owned and operated business, almost every piece of lumber is handled by one of the owners. We make the vast majority of our products out of trees grown in the inland northwest, which is renowned for its superior fiber. Trees in the inland northwest are naturally dryer and grow slower than those of the coastal regions, making for tighter growth rings and smaller knots. To lesser volumes, we also saw ponderosa pine (pinus ponderosa), Idaho white pine (pinus monticola) and western birch (Betula papyrifera). 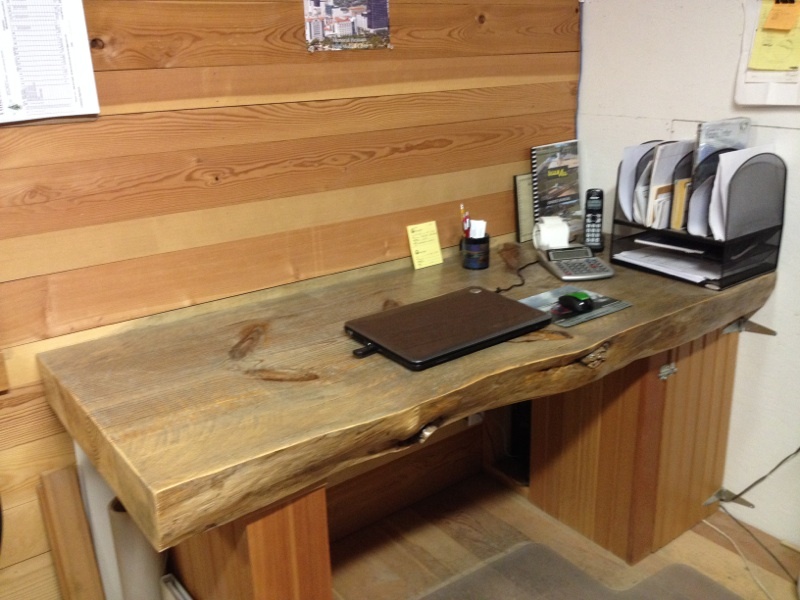 Glen Isaac purchased his first sawmill, a Woodland Pro 4000, in 1997, and set it up on his timbered property just south of Bonners Ferry, Idaho. Here he and his sons operated it part time until 2001. In 2001, Glen moved it to a piece of property about 4 miles northeast of Bonners Ferry, to be closer to home, and more accessible to his customers. 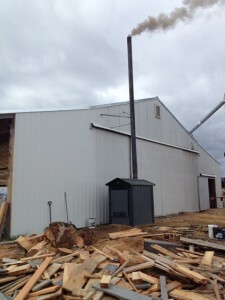 To the Woodland sawmill, we then added a Nyle dehumidification kiln, and a Lucas swing blade sawmill. In 2004, we moved the mill again, and set it up at its current location, ½ mile east of the 3-mile intersection, north of Bonners Ferry. In 2005 we purchased our first LT70 Wood-Mizer, with a 32’ track, which we have worn out and replaced in 2012. Today, all 4 of Glen’s sons – David, Chad, Todd, and Nathan work with him at this location. David is our planer man, Chad is head sawyer and saws with the Wood-Mizer, having logged already over 15,000 hours on the two LT70s that we have owned. Todd and Nathan work with the inventory, sales, packaging and shipping. Tim Maclin has been with us ever since 2015 and helps us with grading and sorting inventory. 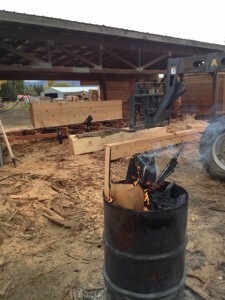 We buy logs from sources in the area; local loggers, log buyers, and large sawmills. Since our equipment can handle almost any size of log, we buy a lot of over-sized logs that the local large sawmills cannot cut. Then we carefully break them down with our mills, and work them up into the orders on hand or for inventory. We have been known to spend more than a day on one large diameter log; carefully trying to get the best product that log can produce. 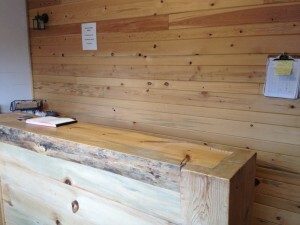 We try to keep on hand large diameter cedar, larch, and Douglas fir logs, to make them into timbers, quarter-sawn clears, and rough sawn planks, siding, and many more dimensions. We also buy lumber from local sources, and remanufacture it into various profiles with our re-saw and planer, drying it first if necessary. We also have a full line of logging equipment, and still take on some smaller logging/forestry jobs. Our slab edging and long butts are sold as firewood, while our sawdust and planer shavings are used in gardens, for landscaping, animal bedding, and also sold to a pellet/fire-log mill less than 5 miles from us. 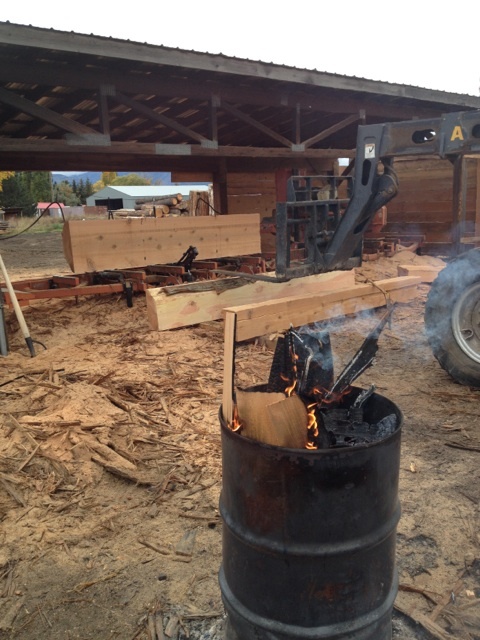 Smaller scraps are burned in our Heatmor* wood boiler to heat our warehouse/office and in a warming fire for our men in the yard. Some small percentage of our scraps are hauled a couple of miles down the road to the local waste management facility, where they eventually get ground up into fuel for a co-gen plant.